Donna Davis thought she had hit the jackpot with the two bags of mushrooms she collected in the woods of Sonoma County’s Salt Point State Park. Instead, she ended up in the hospital, facing the possibility of a liver transplant, after mistakenly eating a poisonous mushroom known as the death cap. Between 2010 and 2015, five people died in California and 57 became sick after eating the unassuming greenish mushrooms, according to the California Poison Control System. 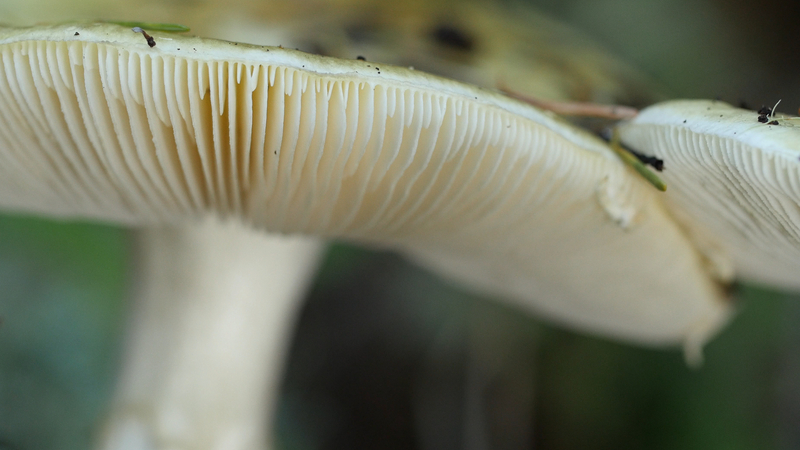 One mushroom cap is enough to kill a human being, and they’re also poisonous to dogs. 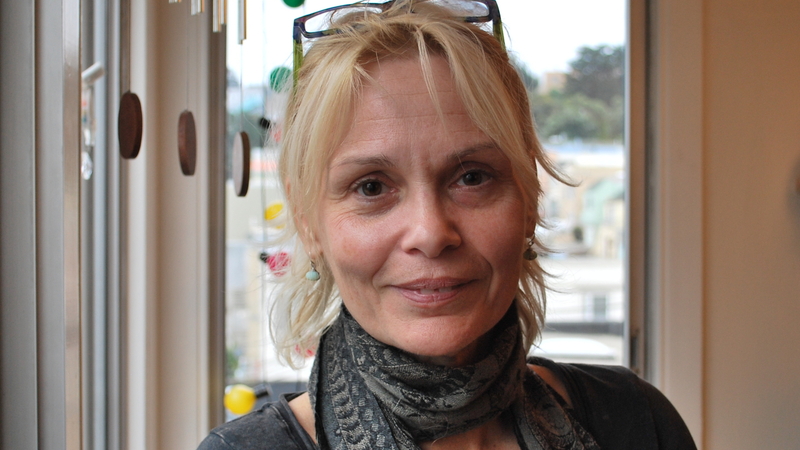 “Dogs die in droves,” said Debbie Viess, of the Bay Area Mycological Society. 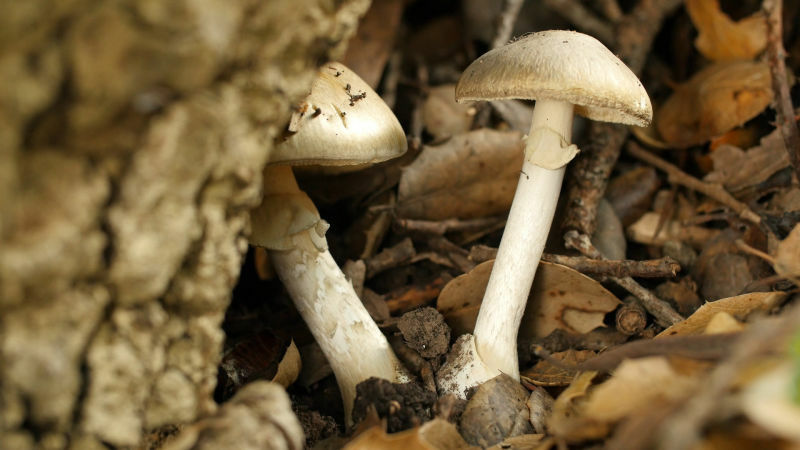 With this year’s mushroom foraging season well underway, health workers and experts are warning aficionados to be careful of death caps, which are abundant in California and can easily be confused for other edible mushrooms, growing mainly under coast live oaks. And it’s not just amateurs who mistake death caps for edible mushrooms like coccora or paddy straws. That’s what happened to Donna Davis, a 55-year-old life coach from San Francisco. On a misty December day in 2014, she and her boyfriend, Kent Anderson, headed into Salt Point State Park to collect mushrooms they could cook and eat. Davis filled two cloth bags with chanterelles, matsutakes and hedgehog mushrooms, all sought-after edible species. Later, she and Anderson, a more experienced mushroom forager than Davis, spread the mushrooms out on newspaper. In hindsight, Davis thinks that she picked some young death cap mushrooms, which have a rounded yellowish-green cap, instead of picking hedgehog mushrooms, which are yellow and rounded. Hedgehog and death cap mushrooms are fairly different-looking. While hedgehogs don’t have any gills—ribs under the mushroom cap—death caps do have gills. Mature death cap mushrooms are “big, smooth and an olive green color,” said Cat Adams, a PhD student at the University of California, Berkeley who studies the mushrooms. After her foraging trip in Sonoma, Davis made two pots of mushroom soup for herself, her boyfriend and a group of their friends. “It was amazingly delicious,” Davis said. So good, in fact, that she had two bowls. Olson, of California Poison Control, said that for the first six to 12 hours after they eat the mushroom, victims of the death cap feel fine. During that time, a toxin in the mushroom is quietly injuring their liver cells. Patients then develop severe abdominal pain, diarrhea and vomiting. “They can become very rapidly dehydrated from the fluid losses,” said Olson. Dehydration can cause kidney failure, which compounds the damage to the liver. The afternoon after she ate the mushroom soup contaminated with death caps, Davis felt exhausted and started throwing up. Then she dragged herself to a mirror and saw she had turned yellow. That’s when she decided she should go to the hospital right away. Doctors put her on intravenous fluids. They also pumped her stomach full of activated charcoal to help absorb the poison out of her body, although some doctors question the usefulness of this treatment when many hours have elapsed since the poisoning occurred. For the most severe cases, the only way to save the patient is a liver transplant, said Olson. Davis didn’t end up needing one and went home before Christmas. 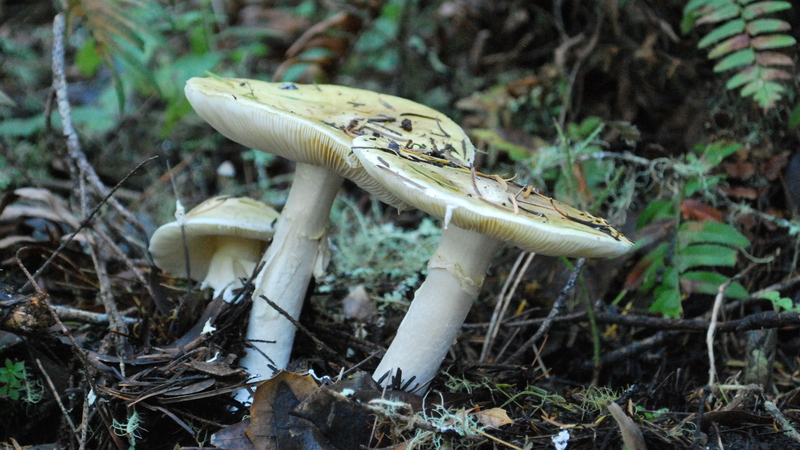 But two people died from death cap poisoning in California in 2014. Last year, nine poisonings were reported to the California Poison Control System and all the victims survived. 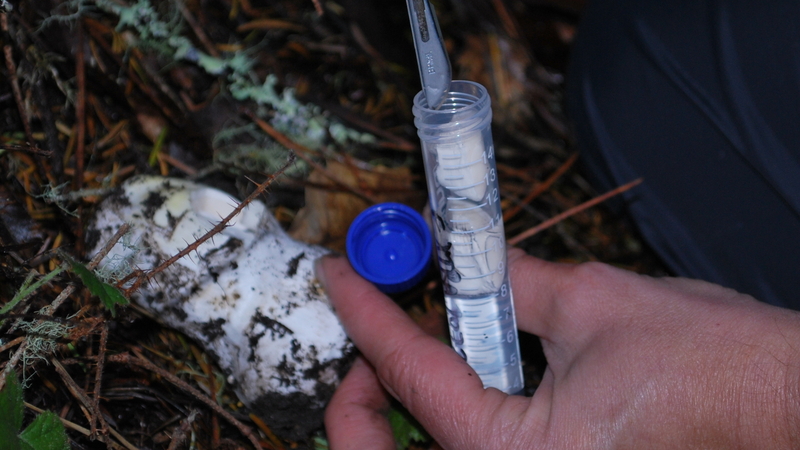 Dr. Todd Mitchell, at Dominican Hospital, in Santa Cruz, is conducting tests of the drug silibinin to treat death cap poisoning. The drug, which is made out of common milk thistle and delivered intravenously, can protect a patient’s liver and make a transplant unnecessary. Mitchell said he has treated 78 patients since 2007 and hopes to receive approval for silibinin from the Food and Drug Administration by 2017. After temporarily losing her taste for mushrooms, Davis is looking forward to foraging again. But she said she’ll be much more cautious. Experts advise that even experienced mushroom foragers proceed with caution. Death caps are spreading in California, but not on the East Coast, said biologist Anne Pringle, of the University of Wisconsin, Madison. This could spell trouble for visitors to California who aren’t familiar with the deadly mushrooms. 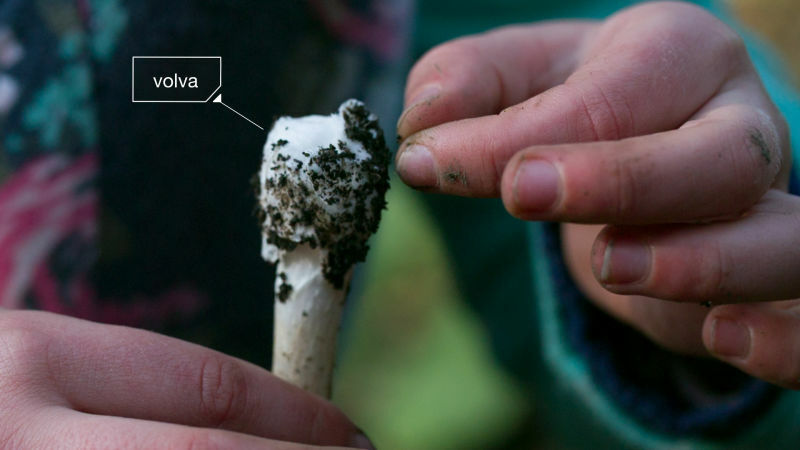 In September 2015, German authorities reported the death of a 16-year-old refugee, one of 40 to become sick after eating death cap mushrooms they had foraged in Germany. In California, scientists have found that the death cap has been spreading throughout the state. 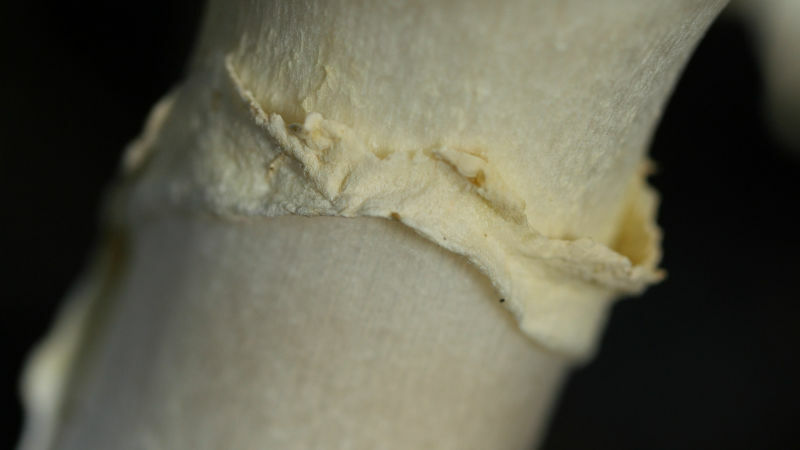 Pringle discovered that the mushroom arrived in California from Europe by genetically testing death cap samples collected in the 1930s and 40s. Pringle said that death caps likely snuck into California from Europe attached to the roots of imported plants. As many fungi do, death caps live off of trees, in what’s called a mycorrhizal relationship. They send filaments deep down to the trees’ roots, where they attach to the very thin root tips. The fungi absorb sugars from the trees and give them nutrients in exchange. “They’re mutually dependent,” said Viess. In California, death caps have established a very successful relationship with coast live oaks, said Pringle. Death caps have also been found under pines, and in Yosemite Valley under black oaks. Through genetic testing, Pringle is trying to determine how long death caps live. If she finds that they’re short-lived, then it might be enough to pluck the mushrooms to prevent them from spreading their spores through the air and reproducing. 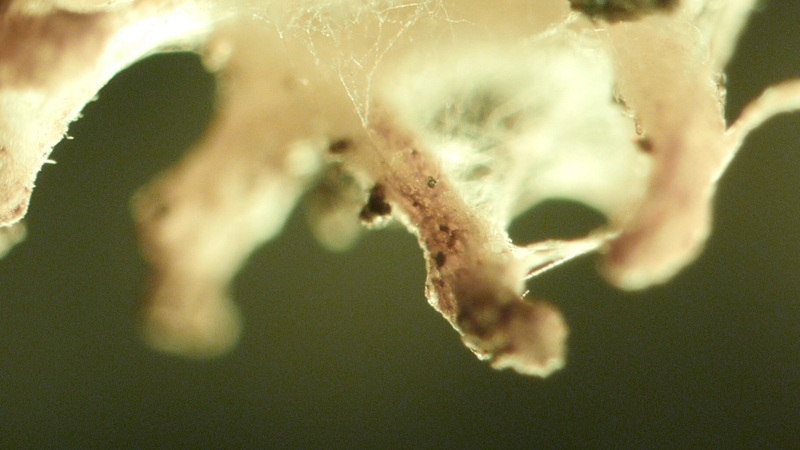 This would eventually kill off the fungus filaments underground as well. “You’d have to do it intensively and do it when they’re young,” said Pringle. “It could be easy for someone’s backyard or a daycare center.” In fact, death caps can be found year-round in gardens that are regularly irrigated. 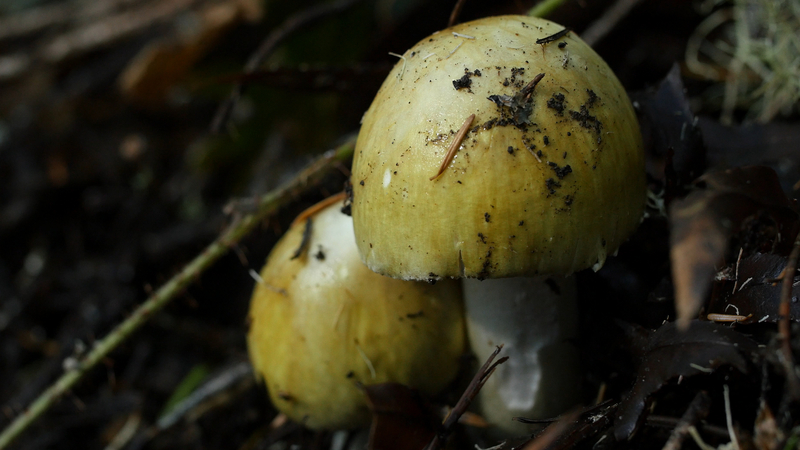 One thing scientists don’t know much about is why death caps have evolved to be so poisonous. Cat Adams, who is studying for her PhD in Bruns’ lab, is testing out a hypothesis. 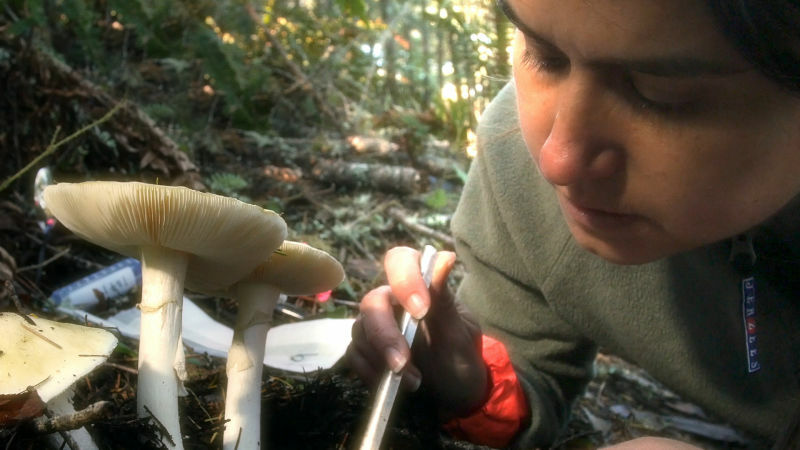 She thinks that the death cap’s toxins might help it stay free of tiny deadly fungi that would destroy its cap before it had a chance to release spores and reproduce. “Fungi protecting itself from other fungi,” said Adams.